Today’s Sunday Saunter was a lovely morning out in the sunshine – certainly better than the gale force winds of two weeks ago! In total there were nine riders including the Ride Leader, Gray Brett. Seven members and two non-members who we hope to see back out on other rides again soon. We departed from outside the RNLI building in Newhaven and took the NCN2 towards Seaford. We cycled around the back of Seaford using quiet roads, ending up joining the NCN 2 again and stopping for coffee at the Martello Cafe. We then returned to Newhaven where the ride ended, and some of us treated ourselves to a small, but thoroughly enjoyable breakfast! 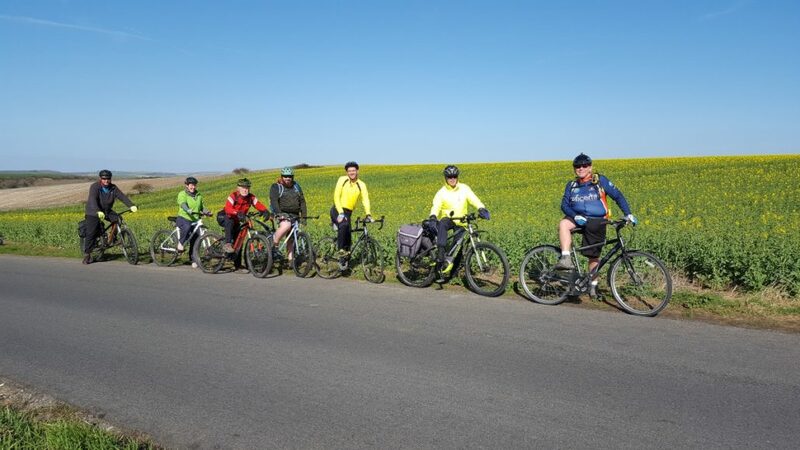 A lovely, gentle ride of just under 20 miles (including getting to Newhaven and back again from Seaford), taking two and a quarter hours with an elevation gain of 602 ft.
https://cycleseahaven.org.uk/wp-content/uploads/2019/03/Optimized-Sunday-Saunter-190324.jpg 675 1200 webmaster http://cycleseahaven.org.uk/wp-content/uploads/2012/04/CycleSeahaven2-300x298.png webmaster2019-03-24 16:03:112019-03-24 16:03:11Sunday Saunter in Spring!